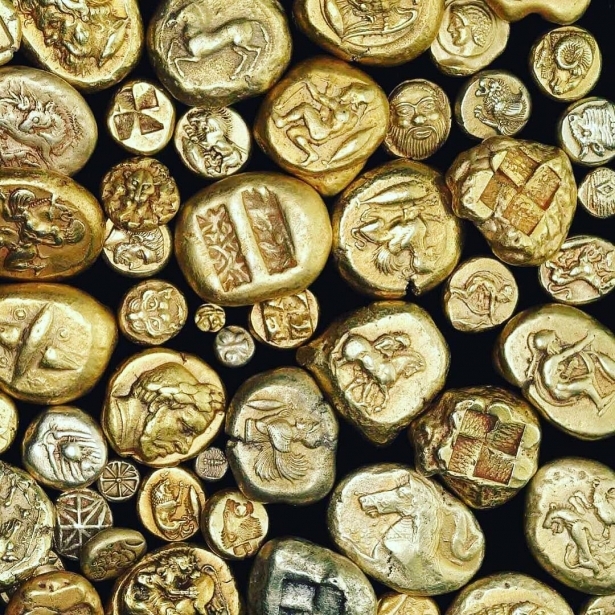 A modern consumer can no longer be surprised with gold mobile phones or tablets. 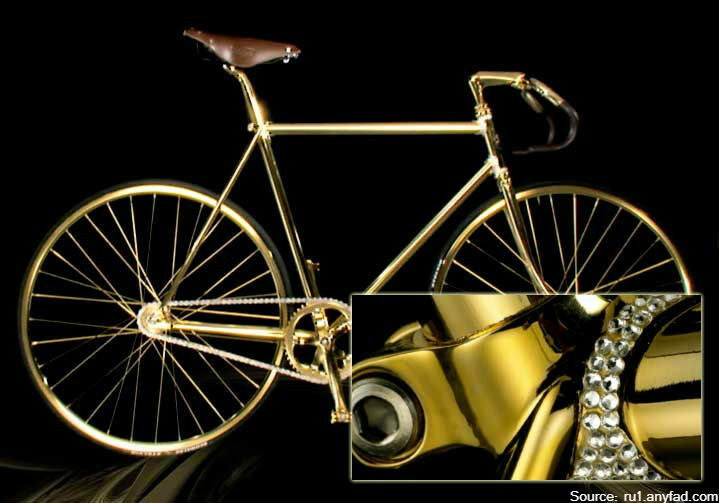 Manufacturers have released exclusive bicycles with precious gold plating. 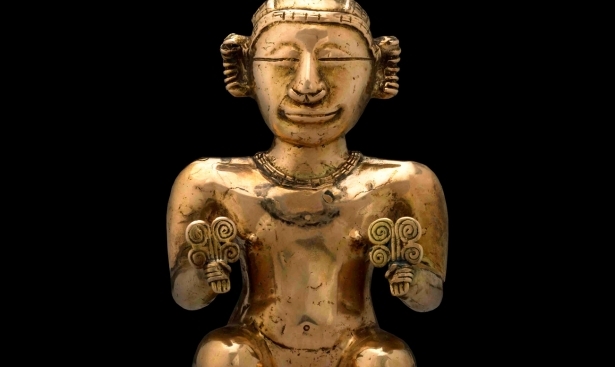 We talk about unique bicycle models that are made of gold. 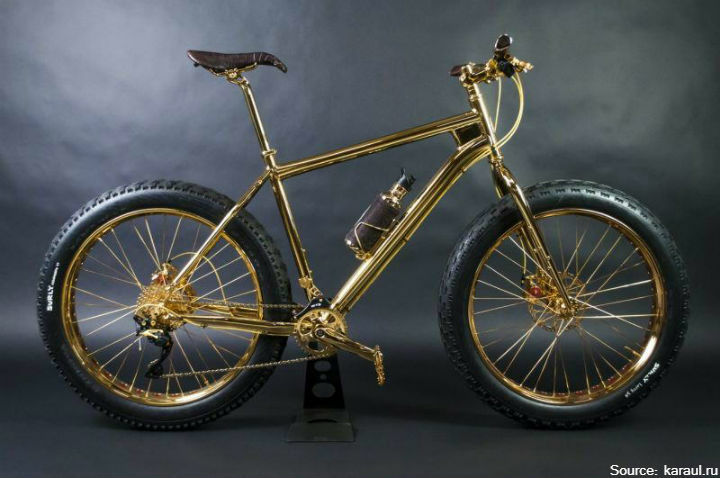 The American company The House of Solid Gold, that produces exclusive goods from precious metals, manufactured mountain bikes with a 24-carat gold coating. Professional mountain biker and thrill-seeker Dan Bull participated during the development process stage. A series of thirteen unique handcrafted bikes was named "The Beverly Hills Edition." It took 750 hours of work to complete each gold bike. Almost all the details of these mountain bikes were made of the precious metal, up to the brake rotors. The seat of the gold mountain bike is covered with an elite alligator skin. A stingray-covered water bottle, which has been attached to the bike’s frame, is a part of the bike’s package. 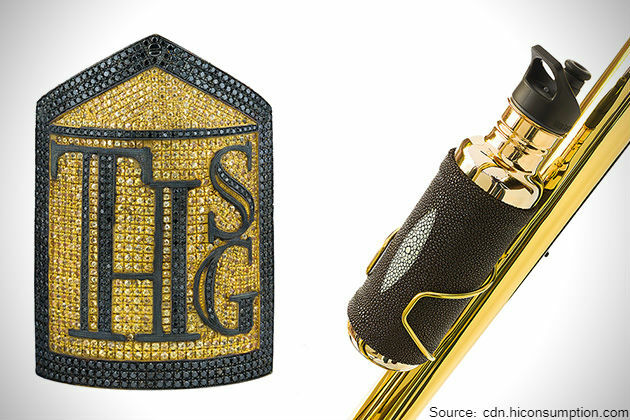 The manufacturer's logo is decorated with precious stones: 500 gold sapphires weighing 4,5 carats and 600 black diamonds weighing 6 carats. Each bike has a certificate of authenticity and laser engraving with the signature of the craftsman. 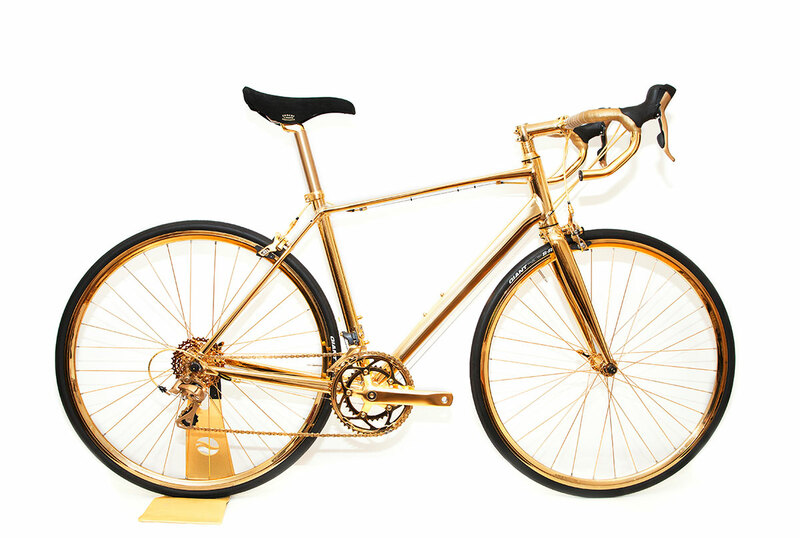 Beverly Hills Edition 24K Gold Extreme Mountain Bike is the most expensive bike ever made. The British company Goldgenie that produces and sells exclusive gifts produced a unique bicycle from 24-carat gold. The precious metal covers the entire vehicle, including each link of the drive chain with the exception of tires. 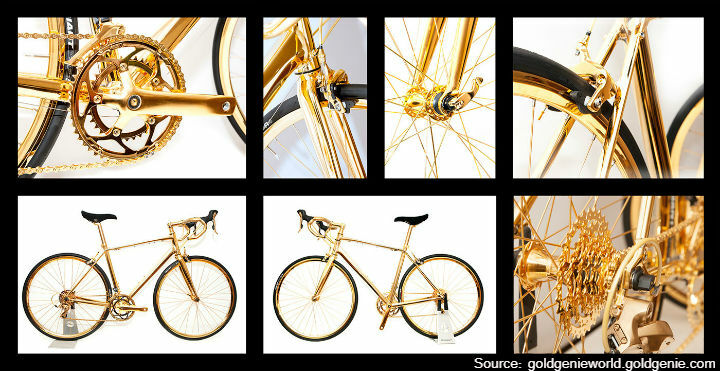 The Goldgenie gold bicycle is distinguished by its spectacular look. Stylish bicycle looks stunning in motion - sunlight reflects on the glossy surface and flashes on rotating spokes. The elite bicycle was made based on the male version Giant Defy 3 racing bike. The seat is covered with the high-quality velvety suede leather. For an additional fee, customers can order the trim of the steering wheel and the seat with expensive leather or the skin of an exotic animal. At the buyer's request, the frame and bicycle parts can be decorated with diamonds and other precious stones. Despite the lack of technical "bells and whistles" features in this model, the price of the exclusive bicycle exceeds the price of a Ferrari car. The Swedish company Aurumania that sells exclusive hand-made bicycles has released a limited "Crystal Edition" of 10 bicycles. Two-wheeled vehicles are trimmed with 24-carat gold and decorated with 600 Swarovski crystals. The seat and the handlebar of the bicycle are covered with dark brown leather. 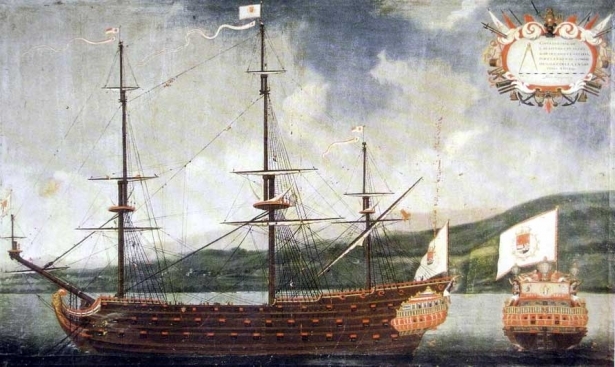 The manufacturer's logo is embossed with gold on the stitched leather plate of the frame. The designers of the company offer customers an additional option - the embedding of diamonds on the frame. Apart from the high price of the Aurumania gold bicycle, it can be distinguished by the high velocity that can be sped up on a highway.